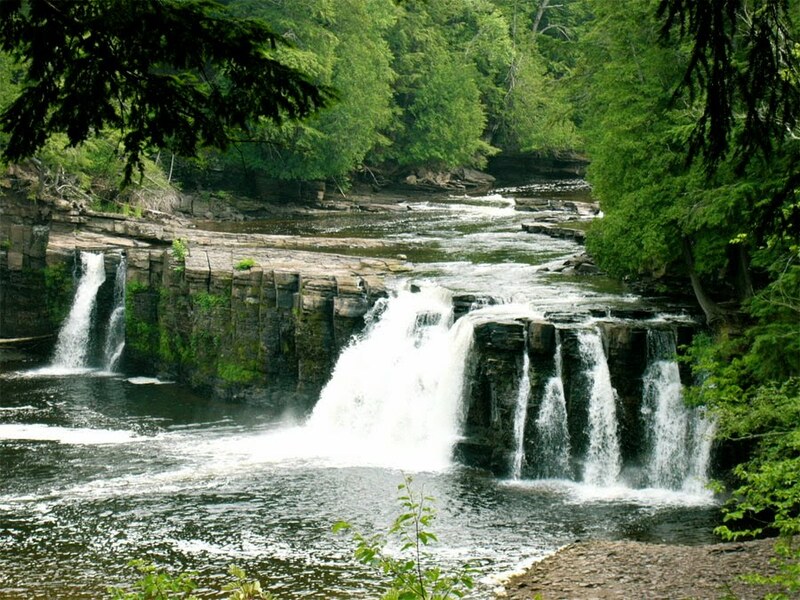 After some researching, Craig and I decided on Porcupine Mountains Wilderness State Park for our September backpacking trip. We visited the area back in 2004, but only for a short time, and we've always wanted to go back and see more of the park. Manabehzo Falls. Old photo from 2004 trip. Including an extensive tract of old-growth forest, the 60,000 acre park was created in 1945 and is Michigan's largest state park. It includes impressive vistas, several waterfalls, rocky Lake Superior shoreline, and lots of black bears. 90 miles of hiking trails provide opportunities for short day hikes or long multi-day journeys into the park's backcountry. In winter, snowshoeing as well as both Alpine and cross-country skiing are possible. The difficult part of planning was choosing which trails to hike. We decided to make the most of our time by combining 2 short trips that could be linked together to create one 6-day hike. 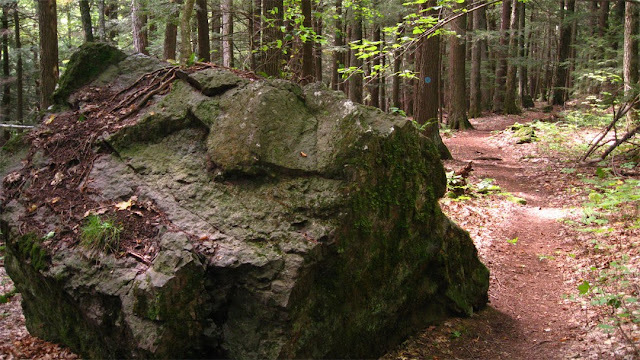 The first trip is a 27-mile loop consisting of the Big Carp River, Little Carp River, and North Mirror Lake trails deep in the heart of the park. We would spend 3 nights along the this route, completing the loop on the fourth day. Then we would walk about a mile to another trailhead and transition right in to the next segment: Lake Superior Trail. A rugged 17-mile route along the lakeshore, LST ends at a scenic spot where the Presque Isle River flows into Lake Superior. Total miles: 45. Since we planned this trip nearly 5 months in advance, we discovered that we had an option open to us that we had never considered before. Backcountry cabins were located near each of the sites where we planned to camp along our route. On a whim, we checked the availability and found that we could stay in a cabin each night if we reserved them with the DNR. The decision would have to be made right away because these cabins are in demand and get booked up quickly. The idea of not using our tent made us a little uncomfortable, but we also thought it might be fun to do a cabin-to-cabin hike. The cabins are rustic – no electricity, running water, etc. - so we would still need to do most of the things required of tent camping. Water would still need to be collected from streams or lakes and filtered, and wood would have to be gathered if we wanted to have a fire in the provided fire ring. An advantage the cabins have are wood burning stoves, which we could use if the weather was cold enough. We debated. Are we sell-outs for exchanging hard self-inflating mattresses for hard bunk beds? Will we feel like we're missing out if we don't sleep in our cramped but trustworthy Kelty backpacking tent? Will we miss the paranoia of potential food smells lingering on our clothes while tucked semi-safely behind a wooden cabin door? Eventually we decided that the hiking and scenery were the goals, and since the opportunity was there, why not try something new? Spontaneity won and reservations with the DNR were made. Now we just had to wait five months. NICE cabin. Sounds like a really great trip so far. Looking forward to more and more pics. 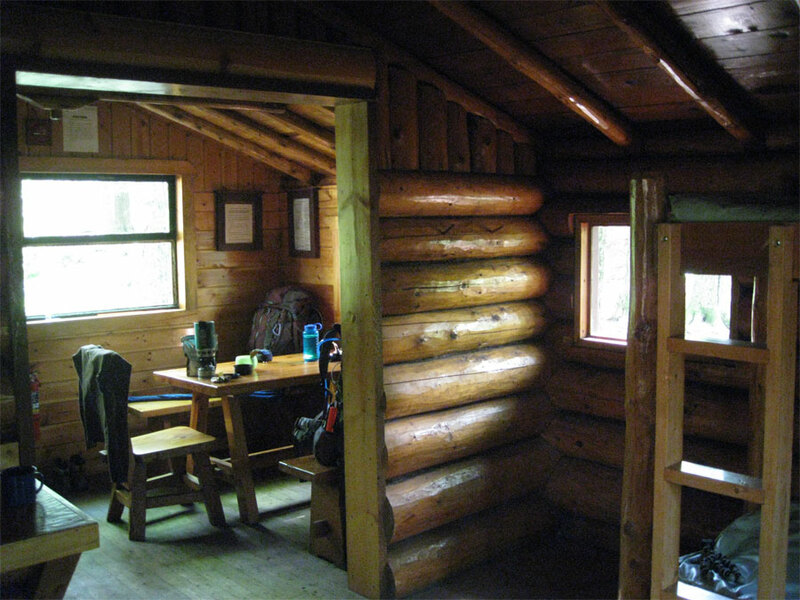 B.
I like the cabin--wonder how it would be to x-country ski the trail in winter. Are the cabins open then? 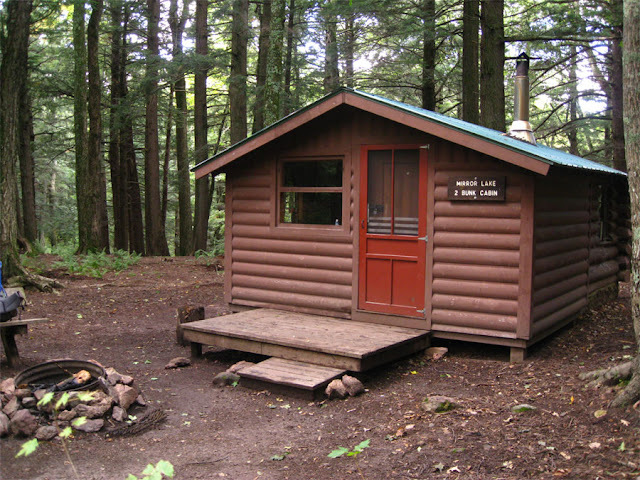 Three of the cabins and 4 yurts are open during winter for skiing or snowshoeing. I think it would be great! The yurts look especially cool. Reservations would need to be made well in advance. Jealous! We spent the first 3 days of October day hiking in the Porkies. It was fabulous! First time there and I surely hope we return! Nice blog. I keep running into it as I plan our backpacking trips year after year. 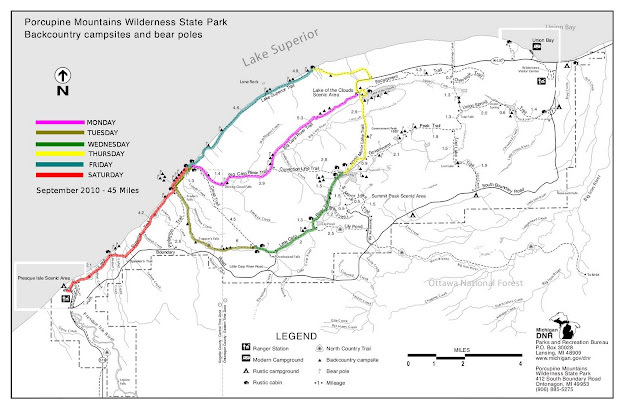 :) Were you happy with your Porcupine Mountains Itinerary? Did you have a shuttle take you back to your vehicle? Thanks. Thanks! We were mostly happy with the itinerary, but if we did it again, we would probably work in the Escarpment Trail instead of Lake Superior Trail. (Although LST allowed us to stay at a really cool cabin.) I see you figured out the vehicle issue in another post.